For a limited time, our Icefields Parkway Driving Guide eBook is free to download. This eBook is your essential travelling companion to the 230-kilometer (143-mile) route between Lake Louise in Banff National Park and Jasper. It includes a detailed log of the entire route, colour images, and natural history interpretation. The Icefields Parkway is one of the most scenic, exciting, and inspiring mountain roads ever built. From Lake Louise it parallels the Continental Divide, following in the shadow of the highest, most rugged mountains in the Canadian Rockies. The first 122 kilometers (76 miles) to Sunwapta Pass (the boundary between Banff and Jasper National Parks) can be driven in two hours, and the entire parkway in four hours. But it’s likely you’ll want to spend at least a day, probably more, stopping at each of the viewpoints, hiking the trails, watching the abundant wildlife, and just generally enjoying one of the world’s most magnificent landscapes. Along the Icefields Parkway are three lodges, four hostels, eight campgrounds, and one gas station. 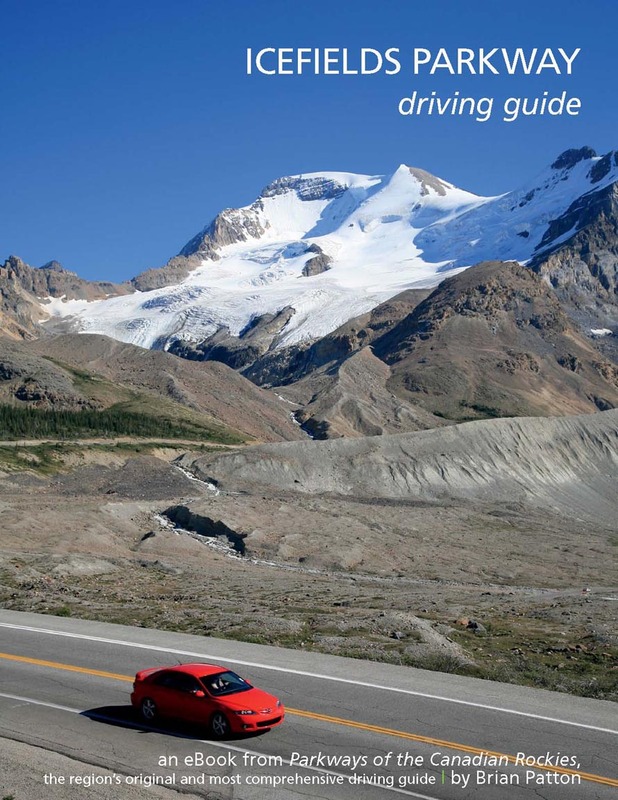 Our Icefields Parkway Driving Guide includes details of each facility, with live links to the campground reservation system and all lodge websites. eBook for free for a limited time for all readers.